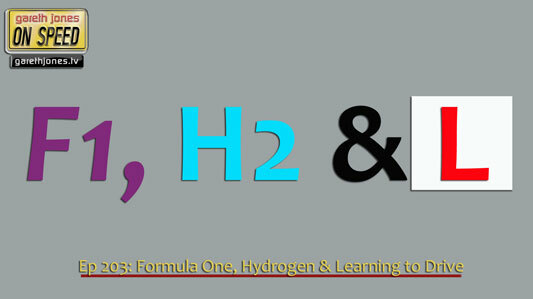 #203 F1, hydrogen power and learning to drive. Lewis wins in a Mercedes, Alonso soils his perch. Zog explains how hydrogen powered cars will function. Sniff Petrol on how Red Bull are preparing for their new driver and the future for filling stations.